Forcibly implementing deregulation and free economics – the guiding principles of the American economist Milton Friedman – is almost synonymous with disaster capitalism, military intervention and widespread poverty. The US has used extreme tactics in order to inject instability and then neo-liberalism in several countries around the world – more notoriously Chile, Russia and Iraq. This is according to the 2009 documentary The Shock Doctrine (Mat Whitecross/ Michael Winterbottom), based on the eponymous book by Canadian activist and filmmaker Naomi Klein. DMovies has identified a common pattern between what happened in these three countries and the political developments in Brazil. We hope that this piece will raise awareness of the current situation in the Latin American country. The ‘shock doctrine’ includes war and sometimes torture as necessary steps towards economic change. Brazil should not become another country on the list. The Scottish-born psychiatrist Donald Ewen Cameron infamously conducted intense electroshock in patients in the US without their informed consent in the 1940s and 1950s. Many of these patients were left permanently comatose or unable to live unassisted. Klein reveals that Milton Friedman conducted a very similar experiment in many nations around the world in order to test his free market economics principles around the world, and he even used the word “shock” in order to describe his tactics. The results were equally disastrous, except that here the victims were entire countries. The US played a pivotal role in overthrowing Allende’s democratically-elected government in Chile in 1973. 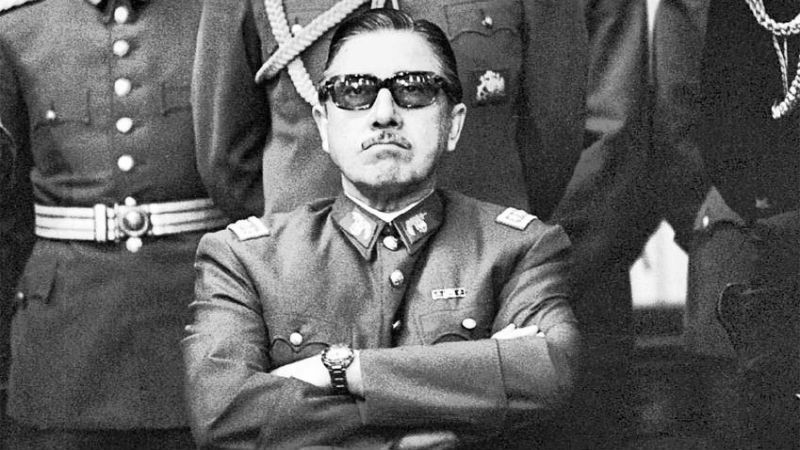 It helped to end 41 years of peaceful rule in favour of neoliberal model delivered through mass arrests, widespread torture and murder, all personified in the military figure of General Augusto Pinochet (pictured above). These tactics ‘shocked’ the country into chaos by concocting a war narrative against alleged Marxists. The premise was “saving the country from the chaos of communism”, but it clearly had precisely the opposite effect: the country plunged into horror and poverty, with the Allende’s social achievements quickly dismounted and inflation reaching 375% in 1974, the highest one in the world then. It became evident that free market was incompatible with personal freedoms and social prosperity. Margareth Thatcher happily lent a hand or two to the US in the 1980s, helping to destroy the Soviet Union. The Soviet leader Mikhael Gorbachev intended to implement gradual change to the Union, which aimed to establish a Scandinavian socialist model, but instead he was forced into radical reforms by his Western “friends” (the unabashed Friedmanites Thatcher and Reagan). His successor Boris Yeltsin was even more aligned to neoliberal interests, and the the US supported him as he literally waged a war against his parliament. This war – which included tanks attacking the Russian White House (pictured below) – ‘shocked’ the country into accepting Yeltsin’s deeply unpopular reforms. As a result, nearly half of Russia’s population was left living under the poverty line in just a few years, while Moscow enjoyed the highest concentration of millionaires anywhere in the world. The ‘shock’ in Iraq was equally belligerent. The US and the UK waged an illegal against the oil-rich Middle Eastern country, toppling Saddam Hussein and establishing a highly volatile regime, which they called “democratic”. The two invading nations routinely arrested and tortured anyone they saw fit, and many were sent to the legal limbo called Guantanamo Bay – only three people held in the infamous Caribbean prison were ever convicted of a crime. These prisons, systematic abuses and malpractices were remarkably similar to Pinochet’s, the documentary explains. 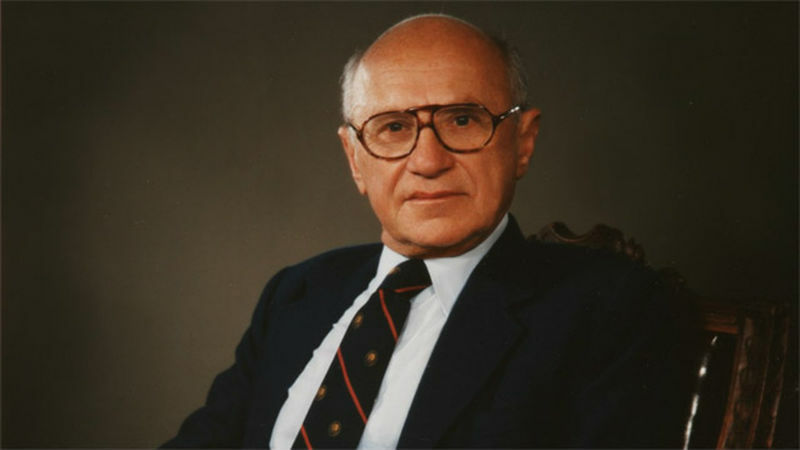 Friedman (pictured above) was adamant that his deregulation and free market economics implemented through ‘shock’ were successful, despite contrary evidence everywhere. Shortly before his death in 2006, he suggested that the aftermath of Katrina disaster in New Orleans should be used in order as trigger to fully privatise the education system everywhere in the US. He was a staunch believer that profound pain delivered gain, but he never recognised that such gains were confined to a few oligarchs. The negative impact of neoliberalism is not restricted to the countries that suffered from ‘shock therapy’. 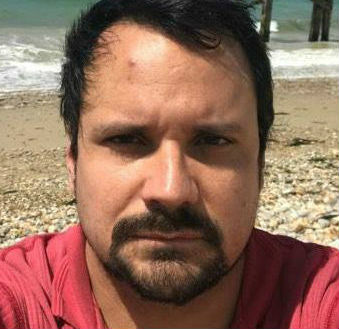 It also opened up the economic gap in the very social of the perpetrator, the US and the UK. The film reveals that before Thatcher-Reagan a CEO in the UK earned just 10 times more than the average worker, compared to 100 times in the 1990s. In the US, the same figure soared from 43 to 430 in the same time period. The neoliberal warmongering machine created other economic opportunities. 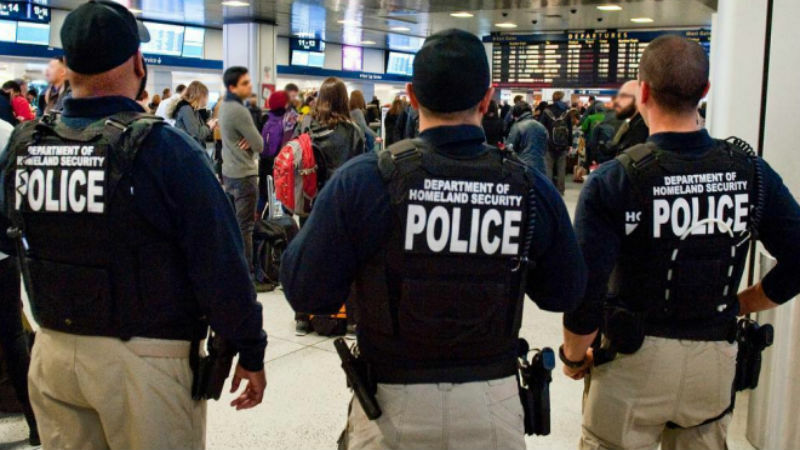 For example, the Homeland Security industry (pictured below) in the US is now bigger than the Hollywood and music industries combined, which the film described as “a new economy built on fear”. Meanwhile, oil continues to fuel the car industry, and the war feeds the arms trade everywhere. We would like to believe that mankind is consistently moving forward and evolving, but sadly this isn’t always the case. History has proved that we should never take progression for granted. Brazil experienced large economic growth for 13 years, and many social achievements appeared rock-solid. Nearly 30 million Brazilian were lifted out of poverty, there had been massive improvements to the education system, and the country even paid off its foreign debt and ended its dependency on the IMF. Until on May 11th a parliamentary coup d’état was staged, overthrowing the democratically-elected Dilma Rousseff and putting in her place the neoliberal and corrupt Michel Temer. In just 10 days, he aggressively began to dismantle these achievements, such as removing housing and benefits from millions of Brazilians in the interest of the plutocrats, oligarchs and the large corporate system that he represents. He has the enthusiastic – if tacit – support of the US. Not coincidentally, the current American ambassador in Brazil is Liliana Ayalde: she was also ambassador in Honduras and Paraguay when the two countries suffered a coup. The American oil-refinery Koch Brothers finance pseudo-student movement MBL, which has helped to inject instability in the streets of Brazil, with the support of the Brazilian media. And in case there was any doubt of the American involvement in the coup, the putschist Aloysio Nunes travelled to meet Thomas Shannon – the most senior Washington officer in Latin American affairs – just before the coup materialised, while Obama stopped short of denouncing the coup or even criticising the dark and illegal developments in the country. The coup earlier this year does not represent, however, an unequivocal victory of neoliberalism. Brazilians are taking to the streets to demonstrate against the recent developments. President Dilma has been suspended, but she could be reinstated in November in case she is innocent of “high crime and misdemeanours” by the country’s senate*. A leaked phone conversation has revealed the plot to oust her, and the suspended president and the supporters of democracy are feeling energised. Right now Brazil is experiencing enormous social convulsion. Very worryingly, this could become a trigger for ‘shock therapy’ in all of its horror. History has shown that neoliberals are never scared of using military intervention and torture in order to instil fear and implement their desired economic model. This is why champions of democracy and human rights everywhere in world must denounce the tragic developments in the largest country in Latin America – before the country falls prey to electroshock therapy and becomes comatose. 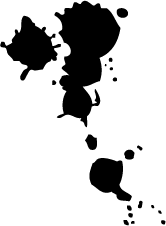 * This piece was originally published in 2016 and republished according to subsequent events.